This topic contains 0 replies, has 1 voice, and was last updated by gemgem28 1 year, 11 months ago. This topic was modified 1 year, 11 months ago by gemgem28. 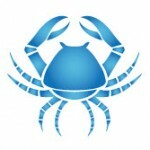 cancer woman virgo man - how do I seduce him?